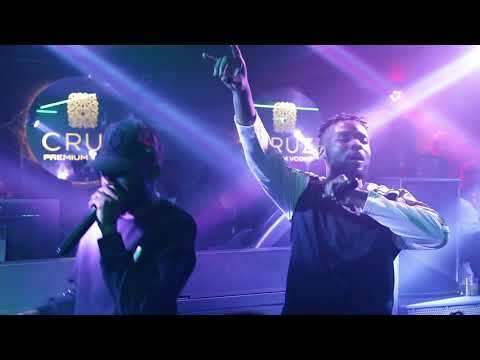 Mozambican rapper, Laylizzy latches through on a brand new dope and he titles this latest effort “Too Much.” He didn’t go this effort alone as he scores the heavyweight feature of South African wordsmith, Kwesta. Laylizzy continues to do the most across the continent of Africa. As a bi-lingual rapper who is able to drop flows in both English and Portuguese, he has been able to commission such dope efforts including “Slay,” “Hello,” “Txi,” “Forever,” and many others. He might have featured AKA and other exciting acts in the past, but with the support of multi-award winning rapper, Kwesta, he simply takes this latest fierce to bed with aplomb. “Too Much” comes through as a Trap-infused belter with all the glitters and lyrical grind. Plus, the record packs a breezy, wavy and dreamy feel with a killer-hook that would get you to hop along. You do not want to miss out on this latest Laylizzy buzz. Simply stream, download, then share your thoughts and opinion in the comments section below.